For 20 years, he was the biggest name in youth baseball. His coaching popularized a new wave of analysis, while his instructional videos entranced a generation of professional players and fans. And those iconic TV commercials turned him into a pop-culture phenomenon. Then, as suddenly as he arrived, Tom Emanski was gone. In the summer of 1990, nearly two-dozen youth baseball teams from around the nation gathered in Des Moines, Iowa, for the fourth annual Amateur Athletic Union National Championship tournament. The six-day affair pitted the best 12-and-under ballplayers in the country against each other, and the heavy favorites, the Vipers from Oklahoma City, had won 92 games while losing only eight. According to the local scuttlebutt, they arrived in town wearing T-shirts that read 1990 AAU National Champions. The Vipers’ first scheduled opponent — a disparate collection of 10 boys from three different Little League programs in central Florida — was not intimidated by such bluster. These kids were so composed that they pulled off one of the greatest underdog feats in the history of sports. Sporting blue pinstriped uniforms, their town name splashed in red across the chest, these newbies from the south defeated the Vipers, 8-4, on the tourney’s opening day. They would knock out more opponents one by one — Salt Lake City, Milwaukee, Minneapolis, and still others — but then had to play the Oklahoma City Vipers again just to reach the AAU championship game. They beat them down one more time, 4-3, and with an 11-1 win over another team from Oklahoma the following day, the national title belonged to the team representing little Maitland, Florida. As the players stood along the first-base line and waited to collect their medals, their coach — an intense 42-year-old who’d worked as a Major League Baseball scout and preferred V-neck sweaters, khakis, and brown loafers to a manager’s usual garb — clamped a scorebook under his left arm and clapped. For him, this championship meant validation for an unlikely coaching career, for the video-based analysis and research that he’d pioneered, for the techniques he was told were too radical. Little did Tom Emanski know that AAU teams produced by his instructional academy would win two more national championships in the next two years. And that his series of TV commercials, designed to sell a line of baseball instructional videos, would go national and ride the wave of back-to-back-to-back AAU titles, making him both comfortably rich and somewhat famous. Tens of thousands of times over a decade, people watching sports on TV could usually expect to see one familiar name pop up during a commercial break: Emanski. A sweetheart deal kept the commercials on the air and the orders rolling in, thereby ensuring an entire generation of ballplayers would grow up learning from a coach they’d never meet. But at the height of Emanski’s commercial success, nearly everything came to a full stop. Today, his academy is shuttered, the ads relegated to memories and YouTube. Emanski himself has retreated from public view. Some of his old coaches and employees haven’t spoken to him in 10 or 15 years, but they tell the story of a competitive, brilliant, and intensely private person who spent a career bent on proving his theories on baseball fundamentals. And then, just when he’d garnered the very validation he’d been chasing, Emanski essentially declared he’d had enough and disappeared. The only tangible remnant of Emanski’s legacy is his collection of instructional videos, nine films immune to aging. They remain the clearest window into the life of America’s most underappreciated baseball nerd, a stathead who saw the flaws in baseball that few others did and set about convincing millions that there was a better way to play the game. The videos remain a fine (if superficial) basis for appreciating Emanski’s insights. But there is so much more. Thomas Jerome Emanski was born in February of 1948 and grew up in the blue-collar, coal-mining region of Scranton-Wilkes Barre in northeastern Pennsylvania. Wikipedia claims he graduated from Rutgers University, but the registrar’s office has no record of such enrollment. That’s because after high school, Emanski and his family moved to south Florida, where he eventually got a job working for IBM, assembling the kinds of hulking mainframes now seen only in old spy movies. On the side, Emanski started coaching youth baseball and football. As one of his former colleagues put it, "Tom always said he was a better football coach than baseball." But it was baseball that became his passion, and Emanski was soon carving out his own space in the Florida baseball community. By the spring of 1972, Emanski was a youth baseball official in Pompano Beach, about 40 minutes north of Miami, and had made friends in neighboring Boca Raton when he opened the newly formed Big League team (16- to 18-year-olds) to Boca’s residents as well. "We are starting the league with hopes later Boca Raton has its own league," he told one newspaper. "We won’t be able to take all the Boca Raton boys, but we will be glad to handle as many as we can." Emanski moved his way inland, settling in the suburbs of Orlando by the late 1970s, and had begun actively researching the mechanics of baseball hitting by 1978, using the technical know-how he’d gleaned from his time at IBM and applying it to sports. Breaking down mechanics and reteaching the moves step by step was at the core of Emanski’s expertise. He called it his "building-block approach." Emanski was able to channel his insights regarding the mechanics of a hitter’s swing into a formal camp setup where kids would be videotaped on VHS from the second they started practicing. In May of 1982, paperwork to establish the Central Florida Baseball School was filed with the state by Garry Ridge, a former player of Emanski’s in Pompano Beach who would become one of his coaches and most trusted confidantes. Two weeks later, Emanski and his staff were hopping around the state commanding $75 a head for five days of personalized, video-centric instruction. "He was the first guy I ever knew who used video as a training device in baseball," says Shawn Pender, a former minor-league player who would appear in several of Emanski’s videos. "There just wasn’t anyone else who was doing what he did." Those first camps were capped at around 40 players, so Emanski could ensure that each student received enough time to absorb the most important lessons he could offer. "We talk a lot about [the mental side]," Emanski told one local newspaper in June 1982. "We spend a lot of time teaching them to think positive. You have to visualize yourself succeeding." The technique was a hit, unlike anything other baseball instructors were offering. Within three years, Emanski was signing up 100 kids per camp, with waiting lists dozens of names long. And to help legitimize his new-age approach, Emanski assembled a roster of established big-league talent to assist with the camps, like four-time All-Star catcher Earl Battey and former Cubs infielder Eddie Stabile. The camps soon became so popular that their start date had to be pushed from June to mid-April, to accommodate the increasing demands of the summer season, and parents were happily forking over $100 or more for his guidance. Figure a dozen or so five-day camps every season and Emanski was pulling in serious revenue. By the spring of 1986, Emanski’s empire was officially ready for its next phase: Baseball World, a 6,000-square-foot jewel of a training facility. Outfitted with the latest high-end batting cages, plus areas devoted to personal instruction, it quickly became the local hotspot for sluggers of all ages. If Emanski was the king of Florida’s burgeoning baseball scene, this was his castle. "We point out the fundamentals of a big leaguer as opposed to what you’re doing now," Emanski told the Orlando Sentinel after its opening. "Hopefully, we’re going to get somebody to the big leagues." That somebody was Eddie Taubensee, who first met Emanski as a high-school sophomore in the early ‘80s. "Tom really loved baseball and he figured, Why not learn from the big leaguers?" Taubensee says. "What did these guys do that made them so good? He studied the best hitters, and he found some common denominators. He would eat, sleep, and breathe baseball. That was his passion." Taubensee’s father became one of Emanski’s Baseball World angel investors, and when the Cincinnati Reds drafted Eddie out of high school in 1986, Baseball World had, as Taubensee says, "its first success story." But if more were to follow, Emanski had to spread his gospel of hitting, how weight balance and timing were keys to a lethal stroke. And he had other theories — about defense, how to organize a practice, the proper approach to bunting — that he was compelled to preach. But Emanski neither looked like a traditional baseball guy — he rejected the traditional uniform that managers so often stuffed themselves into, citing Tommy Lasorda’s pronounced waistline as evidence — nor talked like one. What Emanski needed to figure out was how to reach the mainstream masses. And then the man who’d spent his adult life advocating for the acceptance of video analysis in baseball realized the solution was all too obvious. Teaching the Mechanics of the Major League Swing, featuring Houston Astros slugger Glenn Davis alongside a teenaged Eddie Taubensee, was released on VHS in the fall of 1986 and a sensation was born. Newspaper articles about what Emanski — by then a New York Yankees associate scout (or "bird dog"), later poached by the Pittsburgh Pirates — was doing at Baseball World became more frequent. The Atlanta Braves even sent Brad Komminsk, a highly touted yet struggling prospect, there for personalized instruction. Bobby Cox, then the Braves’ general manager, told a newspaper that one of his scouts had become "fascinated" with Emanski’s use of video. So Emanski did. More videos followed over the next several years, usually shot in just a day or two. And by the mid-‘90s, Emanski had been hired as an associate scout for the Astros, whose nearby practice facility often served as the filming location of choice. Shawn Pender starred in the baserunning and bunting videos, while Taubensee showed in another how catchers could improve their mechanics behind the plate. People like Baseball World coach Brian Penrose and former MLB scout Jim Gabella also became frequent on-screen sidekicks. (The pay, incidentally, was a relative pittance: Pender recalls getting roughly $2,500 for each video he made; Aaron Wolfe, a Chicago-area chiropractor, got about $1,000 for conducting his strength and conditioning seminar, which was also the lone Baseball World video not filmed in Florida.) Emanski also produced an updated version of the original swing mechanics video, the only one of his tapes to ever get a proper sequel. With a few videos to his name, Emanski was making big money, according to his former colleagues, but there was still potential for more. He needed a splashy claim that would provide instant credibility to new customers away from his Florida base. Good thing Baseball World’s AAU teams had started winning national titles. Brad Ramirez, the tournament MVP of the first two champions — the 1991 roster was basically a carbon copy of the 1990 squad, just a year older and wiser — remembers Emanski as a guiding force both on the field and in his own life, the kind of person who would happily foot the Baseball World camp tuition that Ramirez’s own family couldn’t afford. The night before the 1990 championship game, Emanski arranged for Ramirez’s parents to fly to Des Moines to see their son pitch the next day. The 11-year-old responded by throwing a three-hitter and smacking a three-run homer. Ramirez repeated his MVP performance the following year, despite Maitland having to win six games over the final two days in 105-degree Arkansas heat to emerge from the loser’s bracket and win another title. "Tom was a great coach," Ramirez says. "He was strict, but you practiced like you played. He was very smart about the game." Another title in 1992 — this time with assistant Garry Ridge coaching an 11-and-under team — gave Baseball World three straight championships and Emanski an exclamation point with which to tout his instructional videos to a national audience. For years, Emanski had been airing radio and TV ads in markets specifically targeted as hubs for youth baseball. In Houston, throughout Florida, even as far away as San Francisco, parents heard the Baseball World sales pitch. It worked this way for years, and Emanski became a familiar name in these select regions. Finally, in 1997, a tip led Emanski to the right contact inside ESPN and he was able to negotiate the same kind of deal with which he’d grown accustomed. Called "per inquiry" in advertising parlance, it essentially meant that ESPN would get a cut of every video that Emanski sold from the commercials. Telemarketing companies in Nebraska would handle the grunt work. It was a godsend for Emanski, who was now able to advertise on the nation’s only network capable of reaching such a specific, sports-minded demographic. (Back then, the tapes sold for $30 a pop, of which ESPN received roughly a third.) It’s easy to laugh now, with Disney-owned ESPN worth some $40 billion, but the network then wasn’t the sports monolith of today and Emanski’s money was as green as anyone else’s. ESPN aired its first Baseball World commercial on June 14, 1997, during a two-year-old replay of a Genaro Hernandez-Oscar de la Hoya boxing match. Three weeks later, Emanski reached his preferred demo when the same commercial aired during the MLB Home Run Derby in Cleveland. Though most of the orders filtered straight through to the telemarketing companies, many customers were somehow able to call Baseball World’s offices direct. "Everything was done by phone and by hand back then," says Teddy Craig, the former Baseball World coach. "If we knew the commercial was coming on at, say, 9:02, you had to be ready to go because everything went directly into those two or three phone lines, and it got very busy." That was more or less the routine at Baseball World headquarters for the next five or six years: The commercials aired at a steady clip, and the videos got boxed up and shipped across the country. And though the camps stayed as busy as they’d been since 1982, Emanski was starting to get crowded out of the very marketplace he created. By 2002, "there was baseball in every corner of the Orlando area," Craig says. "The hitting facility was still there, but it wasn’t really the money-maker. The videos were where the money was made." After some 50,000 airings — ESPN doesn’t know exactly how many there were, but that’s the company’s best guess — the final Baseball World commercial aired on January 2, 2007, during an episode of SportsCenter. Of all the spots, people only truly remember the one hawking the Defensive Drills video, thanks to a memorable cameo from 19-year MLB veteran Fred McGriff. In the early ’80s, the Tampa-born McGriff was an 18-year-old struggling to hit in the Toronto Blue Jays farm system, so management sent him to Maitland to work with Emanski on his stroke. In a 2003 interview, McGriff recalled how Emanski influenced his overall approach: "He slowed it down and broke it down on video, and I learned a lot about hitting from it." McGriff hit the majors for good in 1987 and cracked 125 homers through his first four seasons. In 1991, eight years after his first lesson with the Crime Dog, Emanski needed an endorsement for one of his new videos. He sought out his old pupil, then a slugger for the San Diego Padres and well on his way to 493 career home runs. "I know that when Tom asked him to be on the commercial," Craig says, "Fred didn’t hesitate because he felt like he owed it to him." For baseball fans of a certain age, these words will live forever. McGriff, who would not comment for this story, seems to have tired over the years of his long-lasting association with the immortal commercial, but there is little doubt that the association has worked out well for everyone involved. As McGriff’s career was winding to a close, ESPN declared the 60-second spot as the No. 1 athlete commercial of all time. "Y’all," a sheepish McGriff told the network, "are making Tom Emanski a very rich man." Here’s what happens when you set out to order the complete set of nine Baseball World instructional videos: After heading to BaseballWorld.com and entering your information into a web form that resembles a GeoCities page from 2002 — seriously, that’s the copyright year at the bottom of the page — you input your name, shipping address, and credit-card information. Your DVDs (or VHS tapes, which are still available!) arrive at your home within two business days … even though it’s quite possible that both your first and last names will be misspelled on the address label, as mine were. The DVD cases inside, buffered by crumpled-up two-day-old pages from the Orlando Sentinel, contain cover art that looks like something cobbled together by a teenager with rudimentary Photoshop skills. One casing has a stray period after an exclamation point. Another has a smudge of ghostly, random letters. Best of all, without a doubt, is the cover that promises a "thrilling bonus section" on the balk. Then there are the videos themselves. Almost every tape contains some constant barrage of a cheesy saxophone/synth soundtrack intermixed with swipe effect graphics that bring to mind an old PowerPoint presentation from middle school. It’s like the worst artifacts of cable-access DIY production packaged together in 50-minute increments. 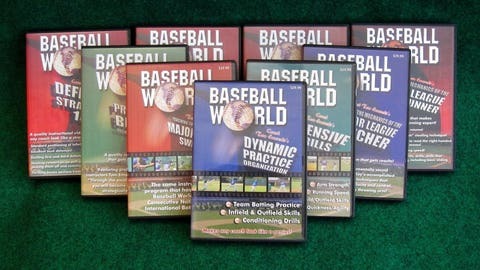 Instead of buying them straight from BaseballWorld.com — complete with testimonial proudly proclaiming "the future of baseball video instruction has arrived! " — you can go to any other number of popular shopping sites, like Amazon. You can also end up at the aptly named tom-emanski-baseball-videos.com, a site run for almost a decade by 44-year-old Chris Hungerford of Marshalltown, Iowa. About 10 years ago, Hungerford registered the domain, started buying the videos direct from Emanski’s sales assistant — the same person who will ship your purchase direct from BaseballWorld.com — and sold them for $20 each, undercutting Emanski’s own site by a few bucks. Hungerford has also uploaded a couple of archived news articles about Emanski’s past success, as well as some of the old commercials to his YouTube account. His site’s stated mission is to "help baseball players and coaches become the best they can utilizing the success of Tom Emanski’s techniques. " And sell videos, of course. Hungerford got quite a shock six years ago when his office phone rang. Looking down at his caller ID, the name read TOM EMANSKI. Whoa, what does he want? Hungerford thought. Am I doing something wrong? 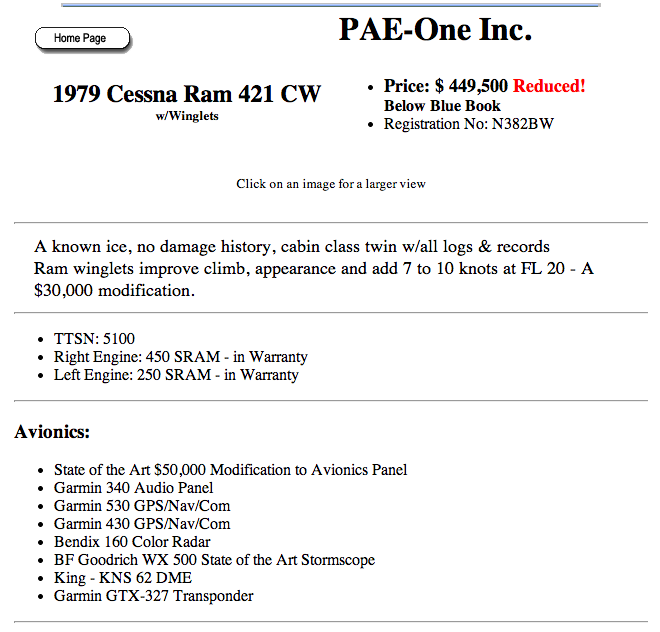 Actually, Emanski didn’t want to discuss that price difference. He just wanted to thank Hungerford for selling the videos at all. The conversation lasted all of two minutes, and Hungerford has not spoken with Emanski since. Fred McGriff is surely correct that nearly two decades of video sales — first through TV and radio and now solely through the internet — made Emanski a very wealthy man, but this perception has also led to some rather outlandish internet rumors. Whatever small chance of veracity the IRS story holds, it’s no match for the one that popped up on Emanski’s original Wikipedia entry, that he’d retired to his private island hideaway off the coast of Aruba with only his two Spanish terriers as company. He probably finds that one particularly hilarious. Whether this was meant as more of a hobby or a second business is unclear. 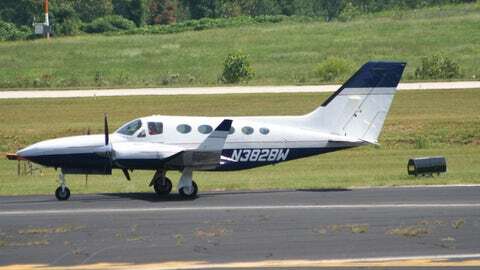 Regardless, PAE-One was dissolved in 2004; the lawyer Emanski had hired to oversee the official filings was later disbarred by the state of Florida for misappropriating funds from clients. Emanski himself hasn’t spoken to the media since a 2003 ESPN.com article about the history behind the McGriff commercial. "He doesn’t promote himself and he doesn’t get out there," says Teddy Craig, the former Baseball World coach. "Never has." "I just didn’t know Tom that way," says Shawn Pender. "We lived maybe five miles apart from each other and we both worked in baseball, but it might as well have been completely different ends of the universe." During his prolonged reclusion, Emanski has lived for nearly 20 years in the same two-bedroom condo in Altamonte Springs, Florida, a family-friendly town of almost 50,000, one of those sleepy Orlando suburbs of the ‘70s that blew up when Walt Disney World came along. It’s perfect for a now-elderly man just looking to blend in. His company, TJE Productions, was officially incorporated in 1997 (the year his commercial debuted on ESPN) and appears to be as healthy as ever. The organization’s paperwork is filed with the state every year without fail, and no officers or directors other than Emanski have ever been named on its annual filings. His only "employee" is Denny Dowd, the 67-year-old former president of the Maitland Little League and a onetime Baseball World employee. He’s the man who mails you the DVDs, and he’s been doing so in his spare time for some 20 years. "Everybody loves the guy," Dowd tells me. "He taught the youth of America to play baseball. " A happy retiree in the city of Apopka, Dowd spends his days stuffing tapes into U.S. Postal Service Priority Mail boxes as needed. His busiest months are usually January through May, with another bump in August just as school is starting up. The entirety of Baseball World’s daily operations — insofar as they even still exist — rests with this one man. Dowd is fiercely loyal to Emanski’s privacy, even as he gets the occasional call from someone looking to speak with the most recognizable TV pitchman in sports history. He always turns them away without hesitation. "Tom has told me he’s retired and wants to stay that way and doesn’t want to talk to the press," Dowd says. "He just wants to live out his life." One former colleague says Emanski’s health was often an issue during Baseball World’s heyday and that he might have had heart surgery a few years back. Another says he might still be in touch with youth baseball coaches in the Altamonte Springs area, the ones who grew up plunking their tokens into Baseball World’s batting cages. Emanski did not respond to numerous requests for an interview. It’s a surreal endeavor to track down a person who is both famous and totally mysterious, seeing his face across hours of grainy videos and hearing that familiar voice on the other end of a kind but brief cell phone voicemail greeting. Emanski’s commercials were once a nightly ritual for me and millions of other like-minded sports fans. Oh, there’s that kid throwing a ball from center field into a garbage can! Oh, there’s Emanski kneeling in his khakis, teaching someone how to swing a bat! These were indelible images that, in hindsight, have become over-simplified microcosms that belie a greater and grander body of work. It’s also obvious now that after 50,000 appearances on ESPN and all he’s done to teach the sport of baseball to millions of people over 35 years, the man has earned a little time to himself. The schools take people who are marginally talented and give them a chance. You know what it’s like? 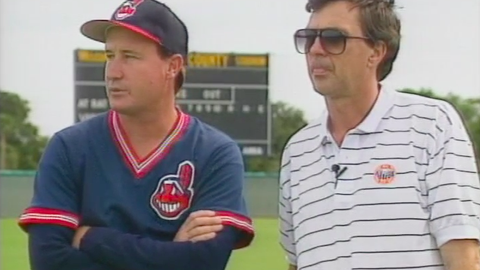 Have you seen the Tom Emanski baseball videos? You have all these kids lined up and they’re all learning how to hit exactly the same way. And then you turn on the TV and there’s some kid from the Dominican Republic who grew up using a piece of cardboard for a glove and he’s doing everything the way Tom Emanski said not to do it. But at least with Tom Emanski, they have a shot. With Emanski, every kid did feel like he or she had a shot, and those people who knew him best, though they’ve long since dispersed from his inner circle, will never forget him. Bradley Ramirez went on to play high-school ball and still lives near Maitland. Shawn Pender is in his seventh year as an advance scout for the Cincinnati Reds and lives in Philadelphia. 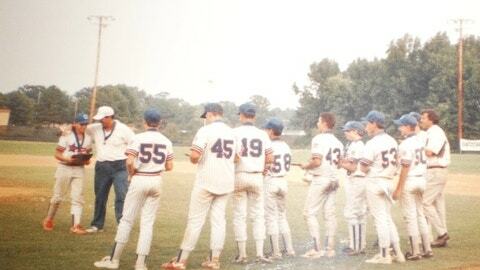 Teddy Craig is going on 23 years as a high-school baseball coach, the last few in Nashville. Aaron Wolfe is still a chiropractor and physical therapist in the greater Chicago area. 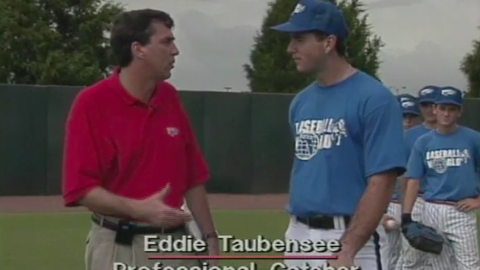 Eddie Taubensee, who would retire after 11 seasons in the majors, works in youth-sports outreach through a faith-based organization in Orlando. Garry Ridge has hopped around the country, offering coaching under his "University of Baseball" banner, and now lives near Pittsburgh. As for baseball itself, there’s not a professional locker room in existence that doesn’t have someone watching video of his own swing or defensive positioning or bunting technique. In 35 years, what was once revolutionary has become commonplace. Baseball World’s old home — the hangar-like facility still depicted on its website to this day — is now host to a center for children’s gymnastics. Its motto should make Emanski proud: "Trust us when we say that we will treat your kids as if they were our very own." Even if you can’t throw a baseball from center field into a garbage can at home plate, you can follow Erik Malinowski on Twitter at @erikmal and email him at erik.malinowski@fox.com.